A Moscow blogger found her way inside an abandoned police station and migration service building, where she found mountains of old passports. 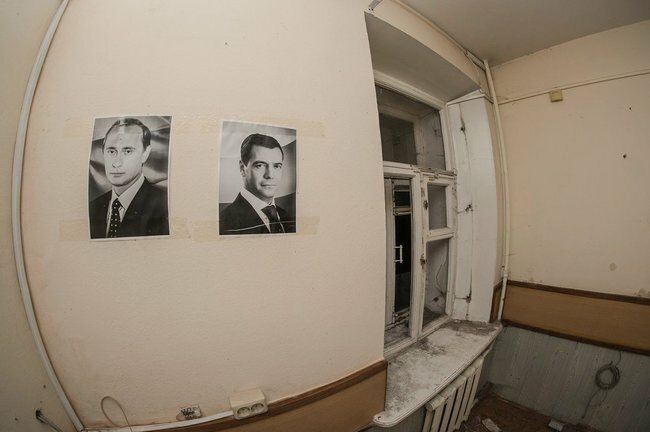 On August 16, blogger Lana Sator, a self-described “urbex [urban exploration] tourist” published photographs from an abandoned building on Bolshaya Cheremushkinskaya Street, which once housed a police station and office of the (now dissolved) Federal Migration Service. Sator says she crawled into the two-story building through an open window. The building was unguarded and the gate in the fence surrounding the site was unlocked. Twenty-nine years old, Sator told Meduza that she’s been fascinated by abandoned buildings since she was 12, and she’s blogged about it since 2007. She doesn’t usually reveal the addresses of the sites she explores, encouraging others to find places on their own, but she published the location of the former police station because she wanted the documents moved somewhere safe. Sator also showed Meduza several photos of the abandoned station that she didn’t publish on social media. Police have now removed the documents, but Sator says there are many other abandoned buildings throughout Moscow. Sator says the police cordoned off the building on Bolshaya Cheremushkinskaya Street within hours of her social media posts, removing all the documents overnight. On August 17, local law enforcement and the Moscow branch of the Federal Investigative Committee launched preliminary investigations, likely leading to a criminal negligence case, sources told the newspaper Kommersant. “When they reformed the Interior Ministry [in 2013], a lot of abandoned stations started popping up in Moscow: traffic police offices, substations, and Migration Service offices,” Sator says. This web of deserted sites includes an abandoned historic building on Vyatka Street constructed in 1911 that used to house a traffic police station, a police field office in Lublino (unoccupied for four years now), and one of the old Moscow Interior Ministry stations where urbex tourists found dozens of confiscated slot machines in 2013. Sator told Meduza that you can almost always find documents lying around in abandoned government buildings. “They’re constantly leaving behind waste paper, but it’s rare to find personal documents or official records like this,” the blogger explained. 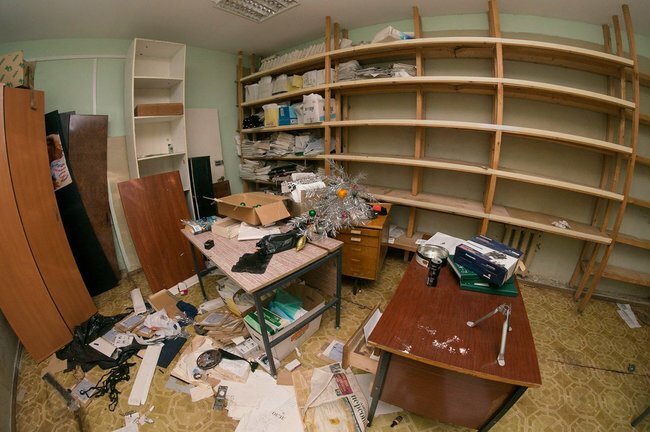 Meduza was unable to determine when exactly the authorities abandoned the building on Bolshaya Cheremushkinskaya Street, but you can still find the station’s old reviews posted online: “The most miserable Migration Service office in the whole city. They don’t want to work, they don’t know squat, and they don’t want to answer any questions. Incredibly rude. They’re animals, not people.” “Unbelievably nasty!!! It’s 10 degrees below freezing outside [14 degrees Fahrenheit], and they won’t let people inside. You have to punch your way into the bathroom. We saw a fight. The crowd rushed the doors like cockroaches.” “I’m just shocked what happens here. Don’t come here. People have been in line since midnight.” The last review was posted in January 2015. Today, Moscow’s Akademichesky District Interior Ministry station is housed inside a new building made of glass and concrete, located about 50 meters [164 feet] from the abandoned office.